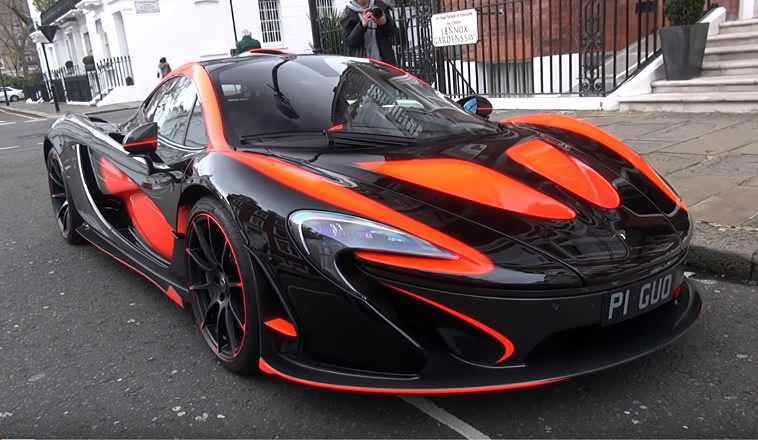 How cool is owning one of the most outstanding McLaren P1 supercars in the world and driving it on the streets of London, with lots of eyes focusing on your beloved and hot-looking model? The below McLaren P1 has recently popped-up online in an exquisite video which highlights the supercar with one of the most insane aero package ever built by MSO (McLaren Special Operations). This particular supercar comes with a lot of custom-built body parts which perfectly complements the exterior wrap. To ge a personal taste on how the model looks and drives, all you have to do is push the play button and watch the video below, but not until you get a closer look at the car`s main highlights, put together and provided by motorward.com auto magazine. Aero-led design produces more downforce than any other production road car -916PS (903 hp) generated by 3.8-litre twin-turbo V8 petrol engine coupled to an electric motor gives tremendous power and instant throttle response with an electronically limited top speed of 350 km/h (217 mph). Active ride height, and aerodynamics work with large adjustable rear wing to give ground effect suction and optimised downforce. IPAS (Instant Power Assist System) and DRS (Drag Reduction System) offer instant boost of power and straight-line speed. The MonoCage is one of the lightest carbon fibre full-body structures used in any road car to date, weighing 90kg. This weight includes the roof and lower structures, roof snorkel, engine air intake cavity, battery and power electronics housin. MonoCage chassis includes fibres more than five times the strength of the best grade titanium, and includes the use of Kevlar. The Sprint from 0 to 300 km/h in less than 17 seconds – five seconds quicker than the legendary McLaren F.